Virginia is home to many great vacation destinations from Williamsburg to Washington, from Virginia Beach to Shenandoah National Park. One of her greatest gems is Charlottesville, nestled in the foothills of the Blue Ridge Mountains and beloved home of Thomas Jefferson. I&apos;ve lived only three hours from Charlottesville for the past twelve years, but just made my first trip to this charming town. I definitely plan to return! A one day drive from just about anywhere east of the Mississippi, Charlottesville should be included on everyone&apos;s vacation bucket list. "Why?" you ask. 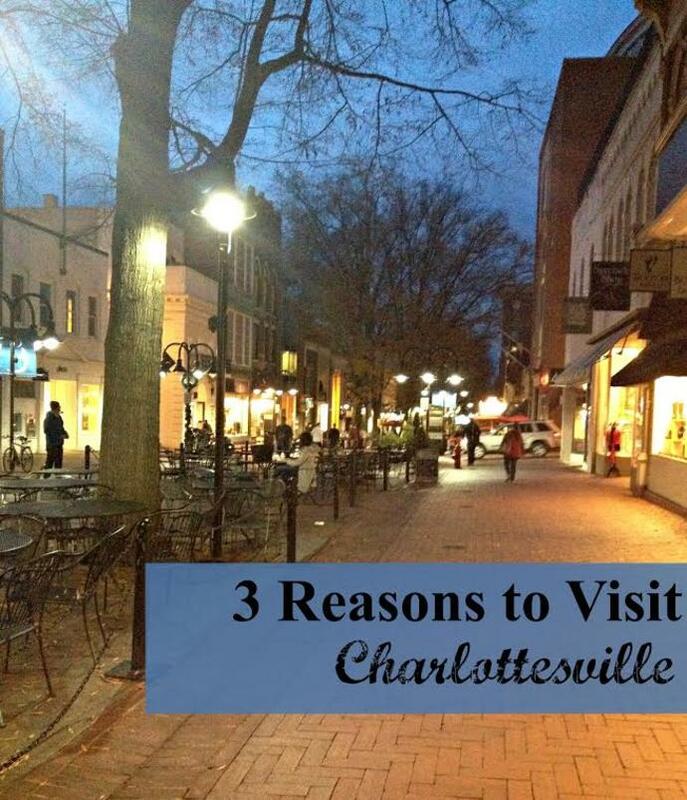 Let me give you 3 reasons to visit Charlottesville. Thomas Jefferson&apos;s Monticello, that majestic home on the back of every nickel, is nestled in the Blue Ridge Mountains overlooking the city of Charlottesville. The home and museum are open to the public, preserving objects that reflect Jefferson&apos;s passion for knowledge, exploration and discovery. At Monticello, you can learn what made this writer of the Declaration of Independence so influential to the development of the United States. Nearby, explore the shops and buildings after enjoying lunch at Michie Tavern (circa 1784). The dining room, called the Ordinary, offers a menu inspired by 18th-century southern cuisine. The servers dress in period attire to add to the charm. After lunch, head to Ash Lawn-Highland, family home of President James Monroe, whose life was dedicated to serving this country. 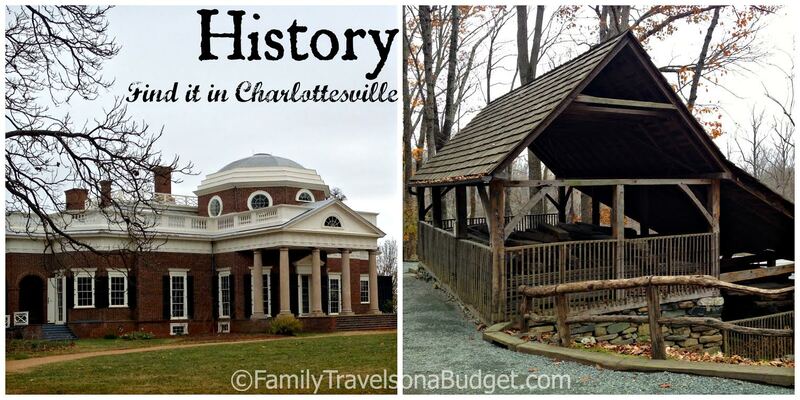 What better place to discover early American history than Charlottesville? Whether interested in theater, music, visual art, or written works, Charlottesville has a festival or event to meet it. The University of Virginia offers theater performances throughout the year and a major festival each July. Downtown Charlottesville is home to the Festival of the Photograph, the Festival of the Book and the Virginia Film Festival, to name a few. A number of galleries, museums and performing arts centers add to the arts scene. For those who prefer to discover the arts by doing, studios throughout the city offer one-time classes or a series of classes. 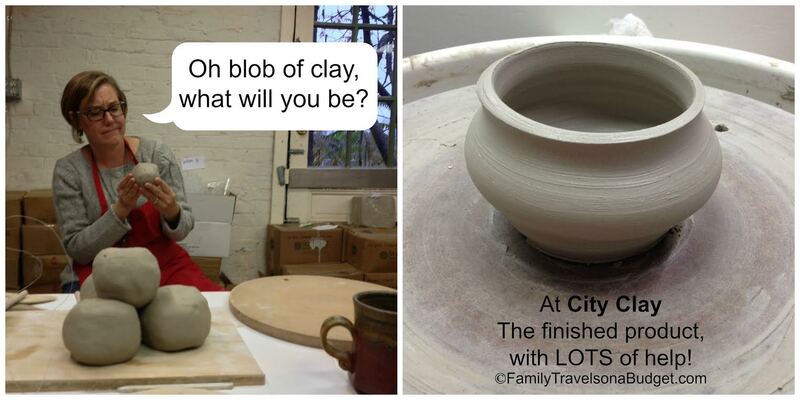 On my visit to Charlottesville, I tried my hand at throwing pottery at City Clay. My first attempt using the pottery wheel didn&apos;t go too smoothly, but Randy (City Clay&apos;s owner and teacher extraordinaire) patiently coached me through it. City Clay offers "date night" and "friend night" special events, one-time pottery classes to explore the art of clay. At one date night event, a couple got engaged right there in the studio! Since "throwing pottery" probably isn&apos;t my strong suit (though I hope to try it again), I also tried my hand at making a pendant at The Glass Palette. This studio, located in a renovated section of an old warehouse near the downtown mall, offers walk-in hours for spur of the moment creativity. The only thing I struggled with at The Glass Palette was deciding how I wanted my pendant to look. The glass is beautiful, Cara (the owner who helped me) is tremendously patient and encouraging, and the studio is just a fun place to be. Charlottesville, with a number of award winning wineries, cideries and a number of independent, quality restaurants makes it a great foodie destination. I only had two days to explore the food scene, and enjoyed every dish I tried. I&apos;m not one to eat to the point of getting stuffed, but in Charlottesville, I found myself taking "just one more bite" more than a few times! It&apos;s hard to go wrong when dining in Charlottesville, but this guide to the best restaurants in Charlottesville might help you decide. Be sure to save room for a cupcake from Cappellino&apos;s Crazy Cakes on the downtown mall. The decorations on the cupcakes are the best I&apos;ve ever seen, and the owner tells me his secret ingredient makes all the difference for the cake&apos;s moistness. In my quest for the perfect cupcake, Cappellino&apos;s Crazy Cakes is definitely in the running for top honors, but I plan to conduct a bit more tasty research before declaring an official winner! 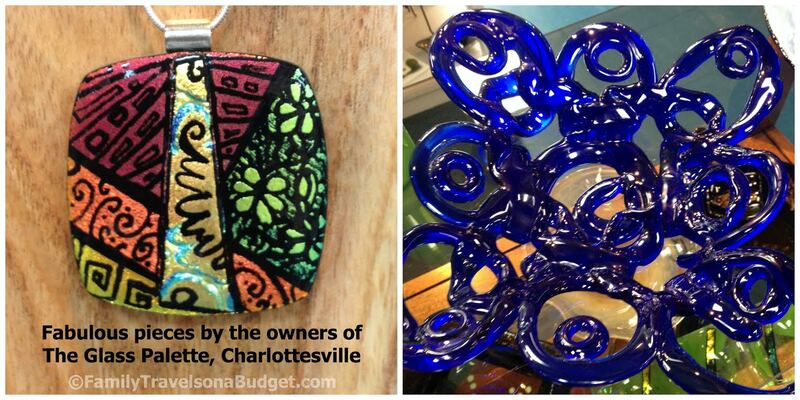 And there you have it, 3 GREAT reasons to visit Charlottesville. Have you been there yet? What do you love best about Charlottesville?